Most from the Georgia Pools provide both open lanes for independent swimming and also guided activities like water aerobics or Aquabike. 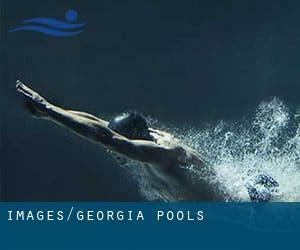 Please use the contact data provided at every pool profile to check if they are offering aquagym lessons, since is not so frequent to see an Aquagym in Georgia. Do you know of any Pools in Georgia that really should be listed here? Contact us!. There are typically discounts readily available to senior citizens and small children for independent swim. 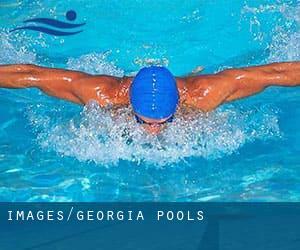 Find out by contacting your nearest pool among these Georgia Pools. For Georgia and its vicinity, we're showing you all the registered pools, some of them have no GPS coordinates and cannot be discovered on the map at the map. Going to a Georgia Swimming Pool is escalating especially within the elderly population sectors of Georgia, who have suffered some type of muscle or bone damage. There are many alternative treatment options to chlorination, with great advantages that ensure much better water high quality within the pool. One possibility would be the mineralizer, which purifies water naturally and significantly decreases the chemicals used and maintenance time. Try Chlorine Free pools in Georgia. One of the advantages of outdoor swimming in Georgia may be the possibility to sunbathe during the summer season. Taking it with extra care, sunbathing is healthful since introduces Vitamin D into the body, so the right option seems to be switching between indoor and outdoor pools depending on the season. Enjoy the best indoor pools in Georgia and don't worry about the weather. These facilities are open all seasons and you can enjoy a swim at the same temperature every day of the year. There are many causes why you should choose a heated swimming pool in Georgia. One of the most important a single relies on the importance of keeping the body temperature stable. When the water is too cold, your body will try to warm it up and you will lose strength to swim appropriately. It's hard to visit Georgia with out dropping by Zugdidi (with 73.006 residents). Currently Swimia is showing you all of the Pool in Zugdidi and the closest pools located in its vicinity. Swimming can be a wonderful idea to keep your body active during your visit to Rust'avi (Georgia), or even if you are a local. Swimia helps you to find your closest Swimming Pool in Rust'avi. Let us tell you a secret to switch off while you happen to be in Sukhumi: just select a Swimming Pool in Sukhumi and plunge into the water! There's no more successful method. Without a shadow of a doubt, swimming in Kutaisi may be the best way to unwind following work. Take a couple of minutes to browse Swimia's catalog to find a Swimming Pool in Kutaisi. Holding an estimated population of 1.049.498, Tbilisi is one of the most important cities in Georgia. Check all the Swimming Pool in Tbilisi and its surrounding area. Whereas Batumi is among the six most populous cities in Georgia with nearly 121.806 residents, you shouldn't miss that one if you're going to Georgia. 49 Chavchavadze Ave. , Vake , Tbilisi (Postal Code: 0162). This sports center offers Olympic size x 21 meters, 8 lanes, 1.9 meters - 5.8 meters depth, 1.9 meters - 5.8 meters depth, Non-Chlorine Sanitized, Indoors. Contact information for this Pool like phone number and email address are number. 49a Chavchavadze Avenue , Vake , Tbilisi (Postal Code: Unknown). This sports center gives 25 meters, 5 lanes, Indoor/Outdoor. For this Pool, only phone number is number here. 34 Kostava St. , 1st Lane , Vere , Tbilisi (Postal Code: 0009). This great and large sports center lets professional swimmers like you enjoy Olympic size, Outdoors. Additionally, within these facilities you can try 25 meters, 8 lanes, Outdoors. Unfortunately we do not have the email address of this Swimming Pool, but we can give you the phone number.